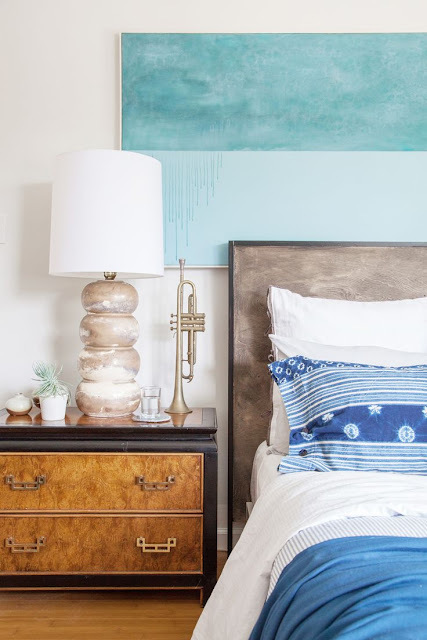 You may remember that addressing the space above our bed is high on my list of priorities when it comes to our bedroom refresh. But, with so many options it's not that easy to decide. 1. 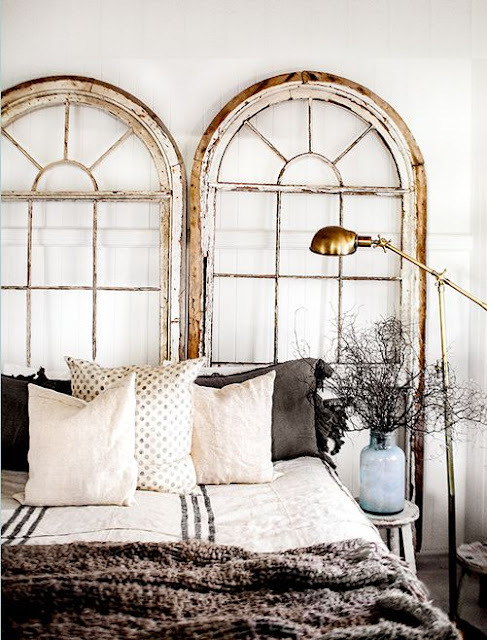 Mirror - it's an obvious and probably most commonly used solution to fill the void above a bed. Large or small, either can create a true focal point in the space. 2. 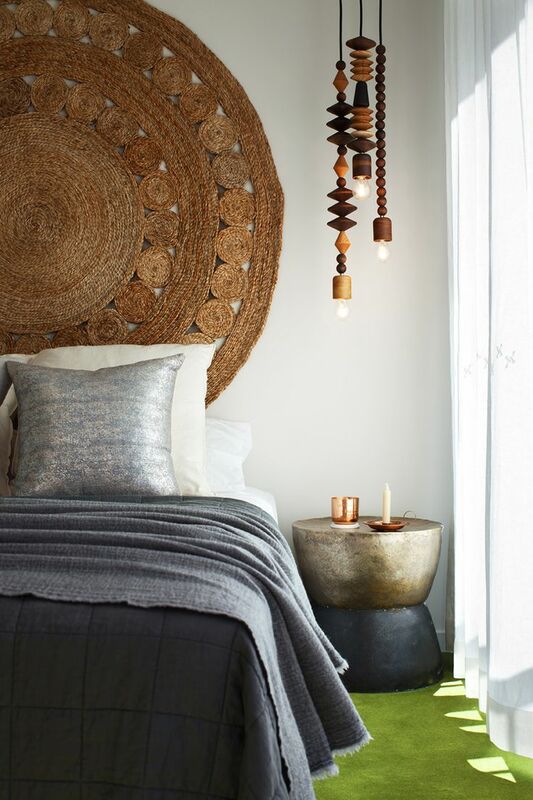 Something unusual - you know how I feel about every room having/needing a touch of whimsy, why not include it right above the bed. 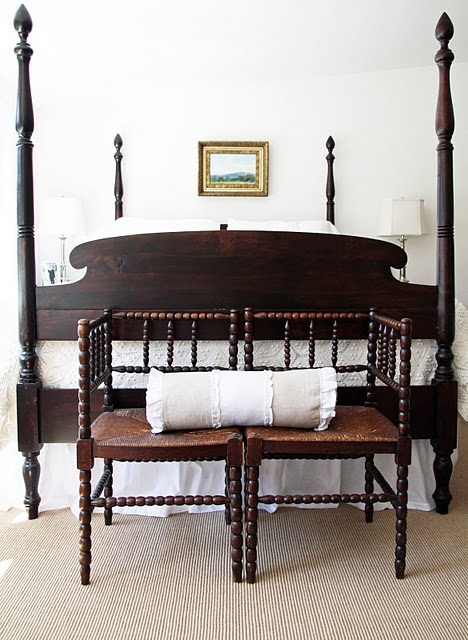 The round sisal really caught my eye, but probably works best without an actual headboard. Same goes for the salvaged window frames below. 3. Art - Another obvious answer, but playing with scale helps to keep it from becoming too predictable. Oversized or simple and small, both work to give your eye a resting spot. 4. 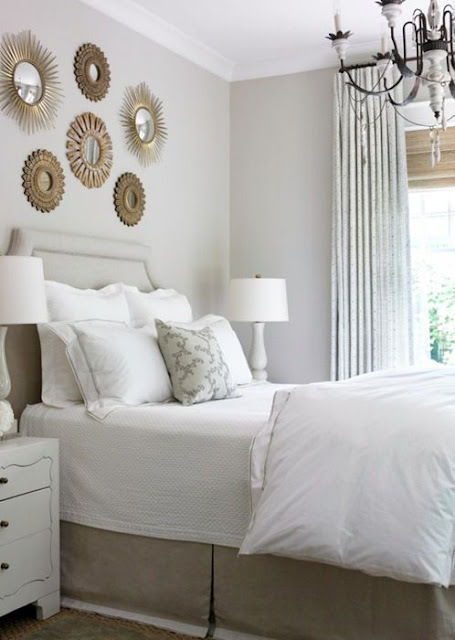 Nothing - A beautiful bed and bedding, flanked by windows can sometimes be all the space needs. 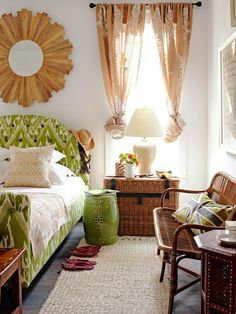 Of course, there are lots of other options like plates, canopies, wallpaper/stencil, etc (some of which I have pinned on my Pinterest page) that I didn't include here because they aren't really contenders for our bedroom, but that doesn't mean that wouldn't be absolutely gorgeous in your space. 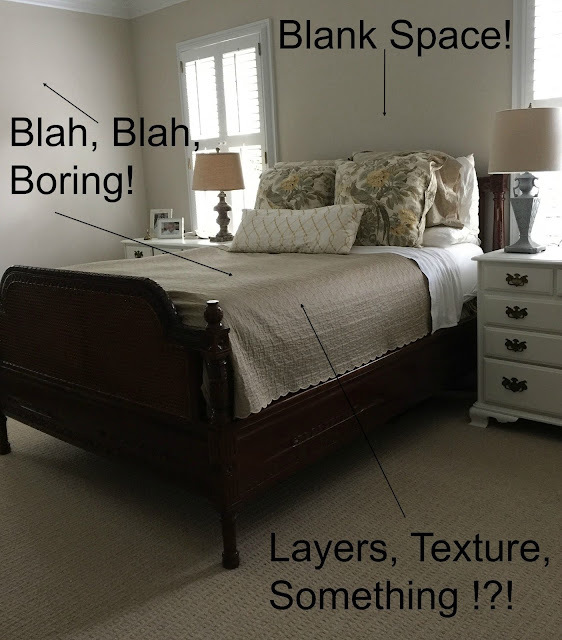 So, tell me what you think…what do you have above your bed? and what do you think we should do above ours?